In many ways, to be a Bohemian and to be a Freethinker are synonymous. Both are highly individuated people who prefer the unconventional to what’s socially acceptable, especially when it comes to religious dogma. We don’t like to conform, but to think, interpret, and express things in our own way. As a writer and musician I am all of these things. But “Bohemian Freethinkers” was also a real movement that existed in the early 1900’s. They were Czech immigrants to this country who cast off their religious beliefs when they settled in America. They formed “congregations” that met regularly for support, networking, and edification in business, education and the arts. My maternal Czech grandparents were members of this movement. I never knew either of my grandparents but I feel I’ve inherited from them not only my Bohemian ancestry, but also an identity with those early Freethinkers whose philosophy resonates with me. Much of my writing revolves around themes of spiritual and emotional growth, change, and the re-invention of myself as a result. 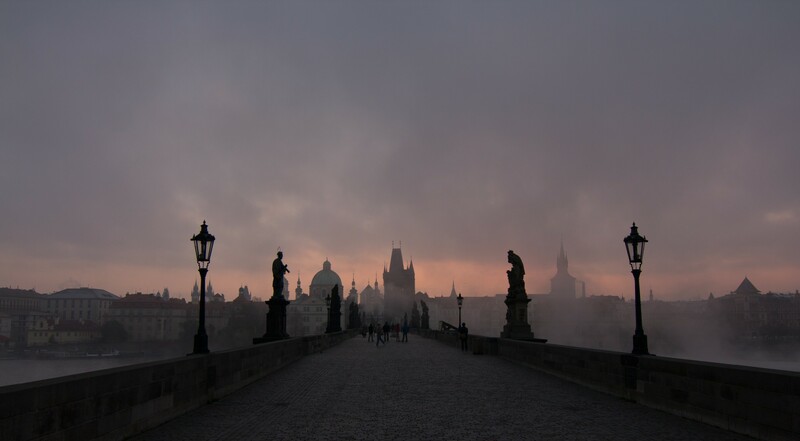 At present I am blogging about my decision to move to the Czech Republic to teach English and about the process of getting there. When I’m not writing essays or posts for my blog, I’m busy lesson planning for my ESL classes as well as keeping up my piano and guitar playing and occasional song writing.